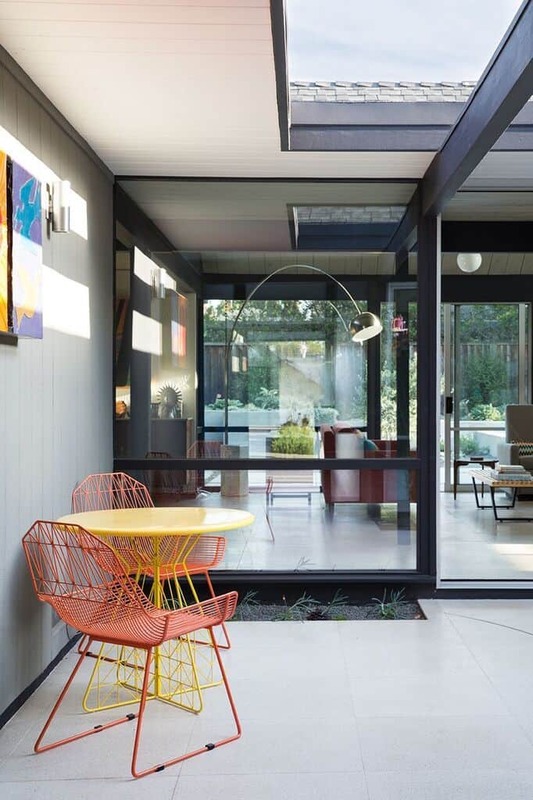 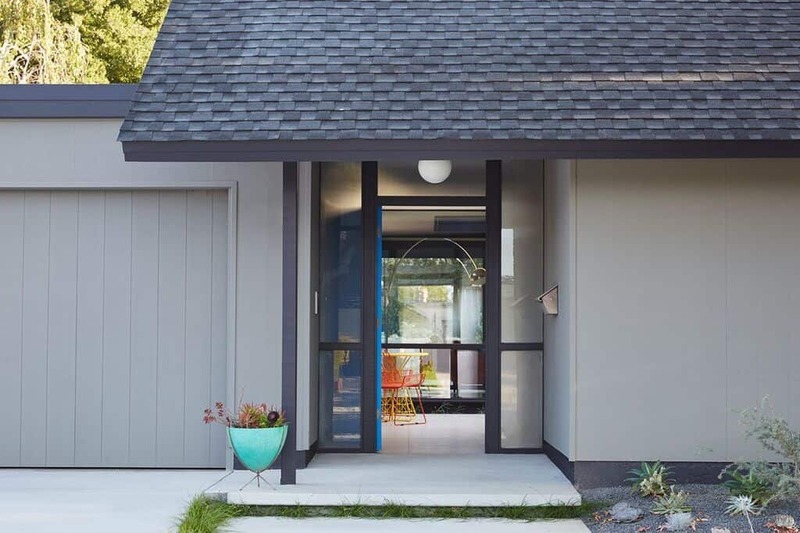 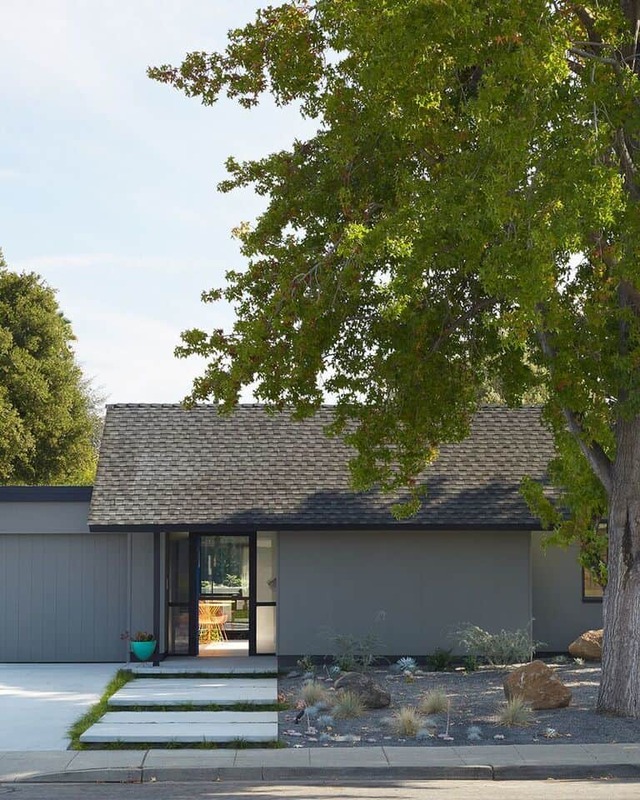 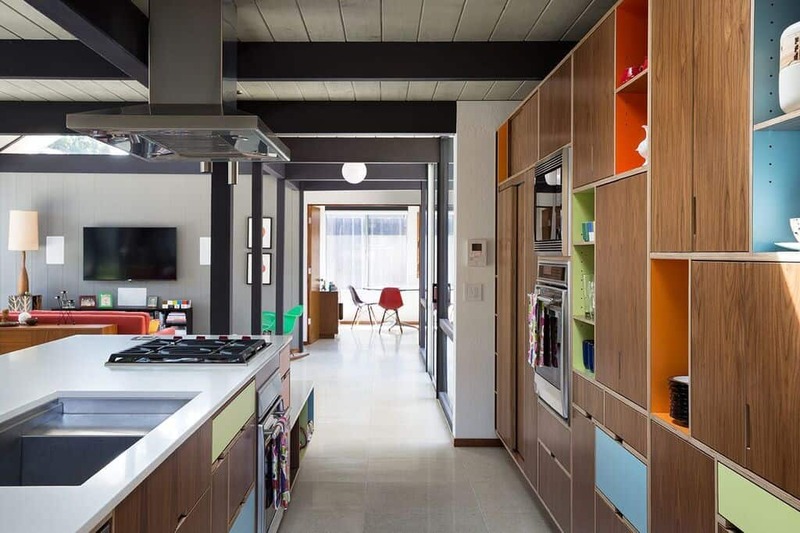 Klopf Architects have just sent us images of one of their latest projects, a renewed classic Eichler home they completely transformed in Sunnyvale, California. 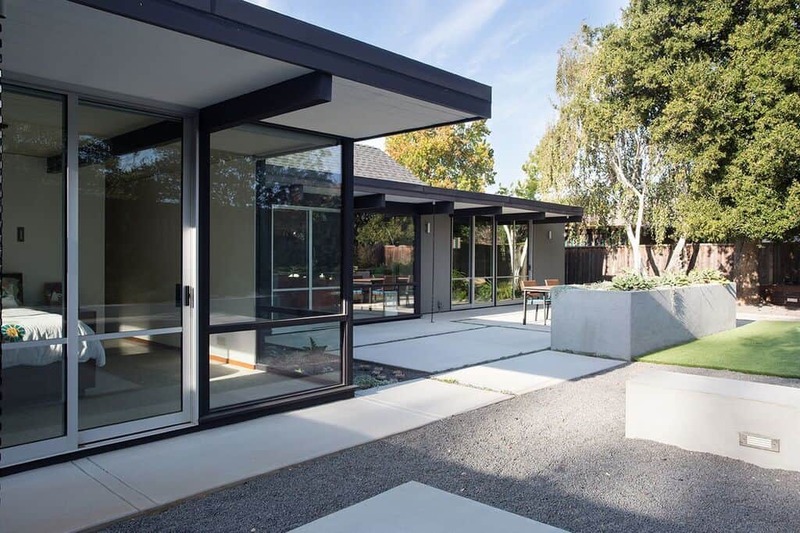 Working in collaboration with Growsgreen Landscape Design, and Flegel’s Construction, the team joined forces to completely upgrade this mid-century atrium Eichler home up to 21st century standards. 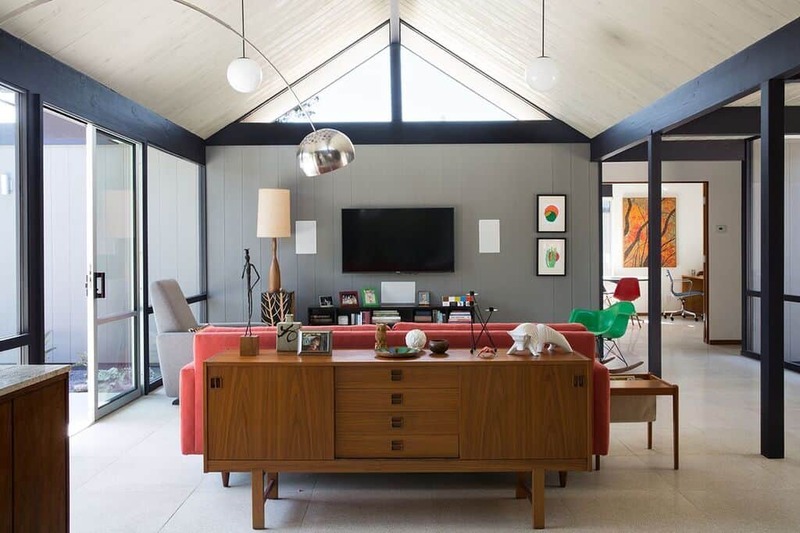 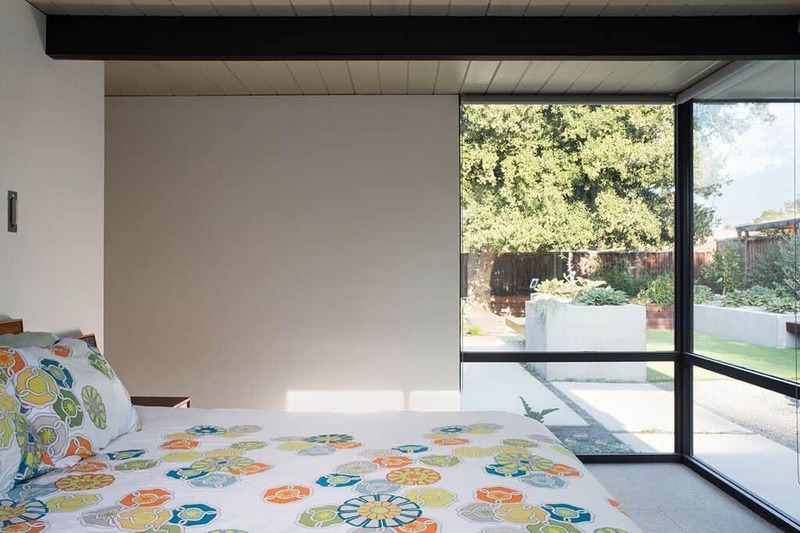 One of the homeowner’s had a mother who grew up in an Eichler, which gave them a deep fondness for this design style (a quilt in the master bedroom is an heirloom from the same mother). 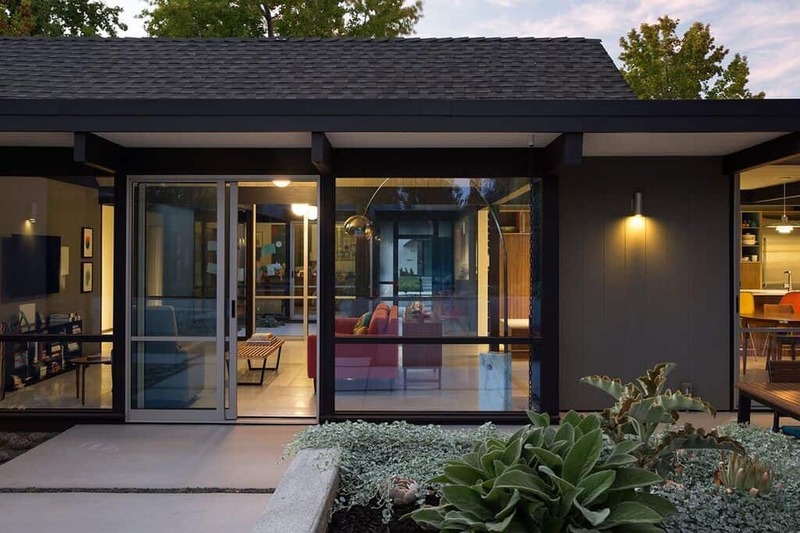 With a love of Eichlers, the family wanted the remodel to reflect their lifestyle needs, while at the same time be spacious enough to move throughout the home with ease. 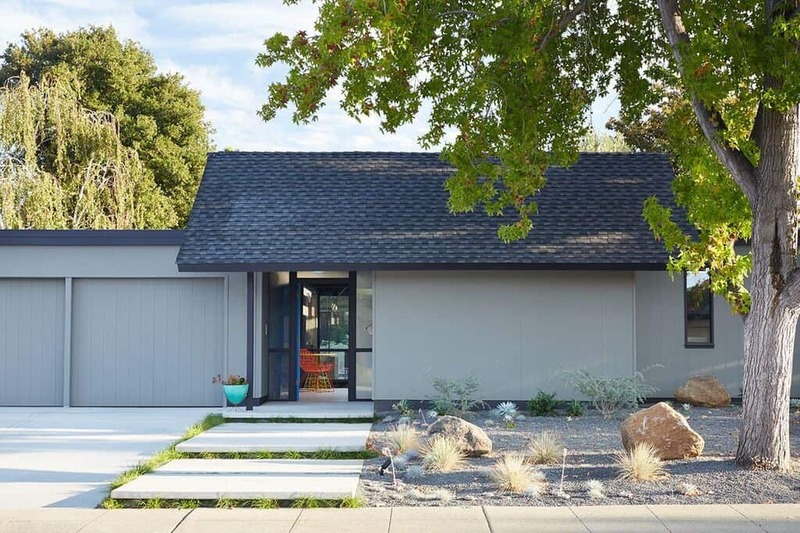 The clients dreamed of living in a mid-century modern home that has plenty of warmth through the use of natural wood like the original Eichlers. 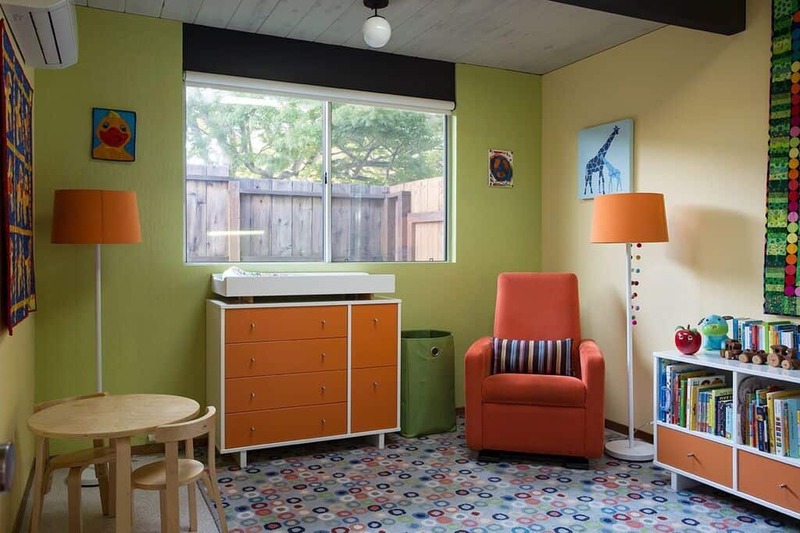 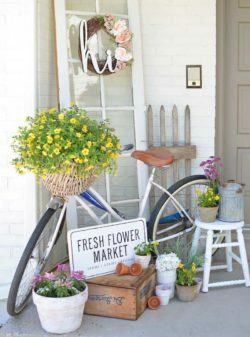 They also wanted their space to be colorful and full of life. 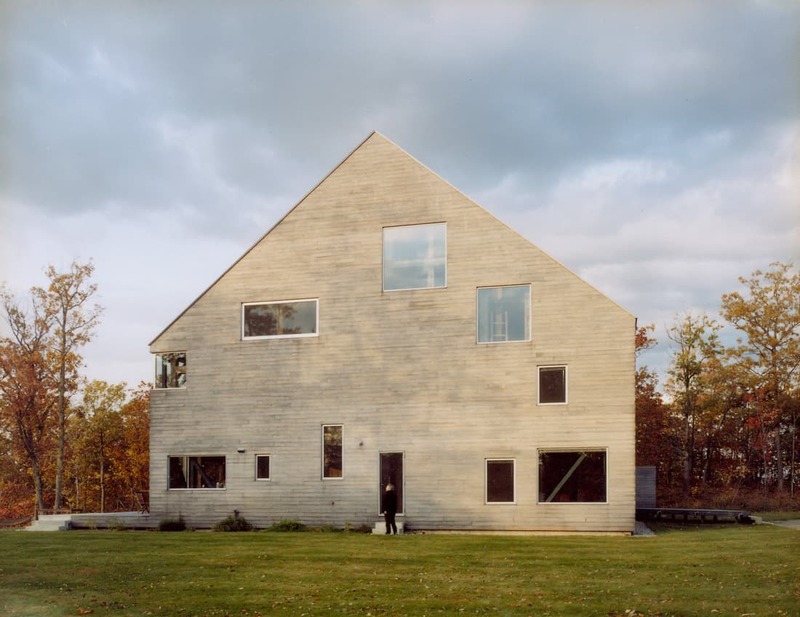 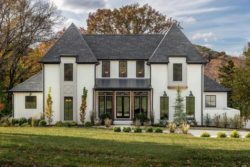 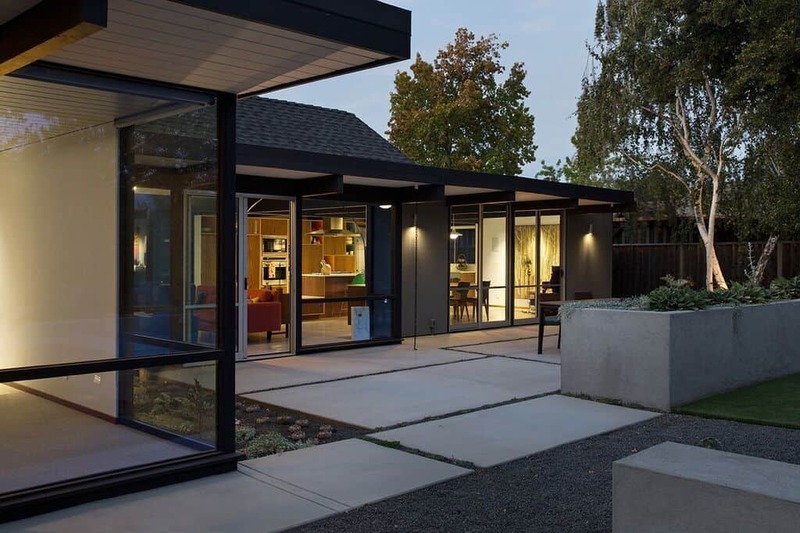 They entrusted the architects to respect the existing architecture while expanding and updating the home. 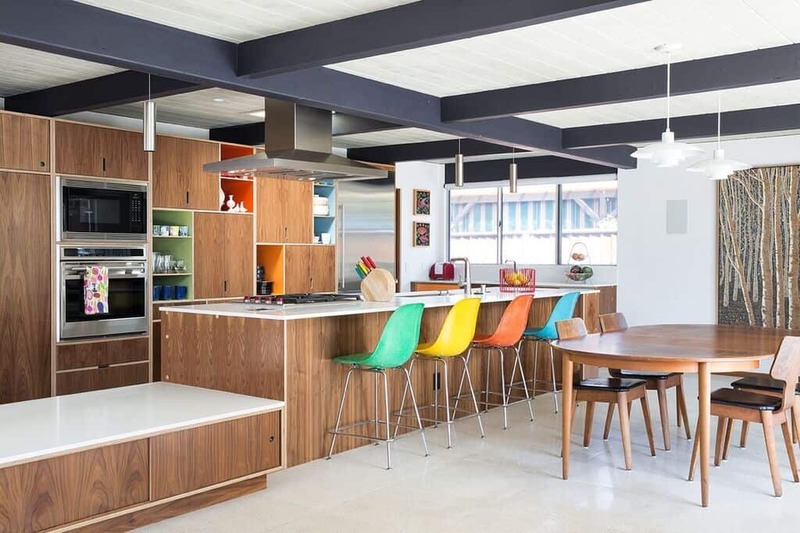 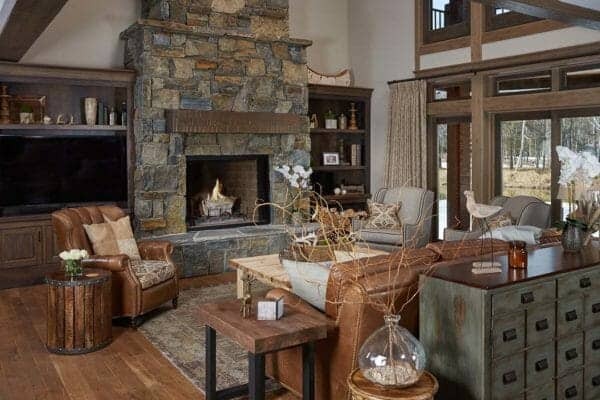 The design team tore down walls to create an open concept great room, composed of a living, dining and kitchen area. 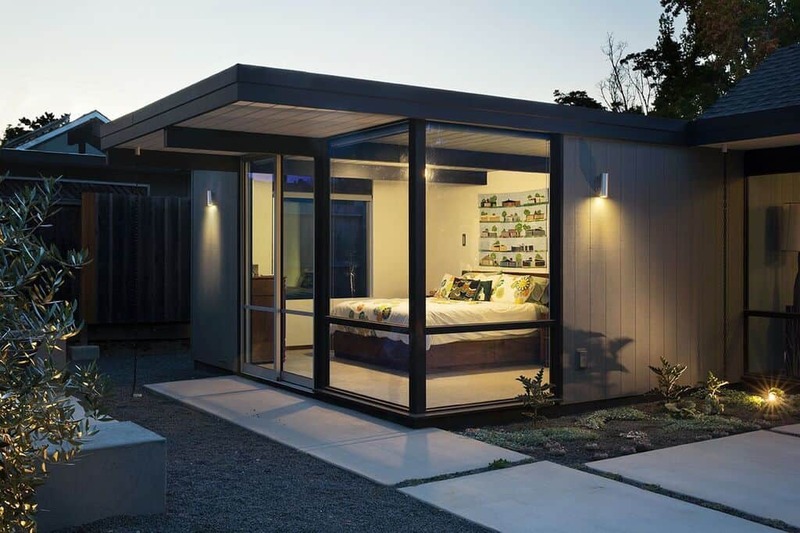 The master bedroom en-suite was expanded, while the kitchen and bathrooms were completely replaced. 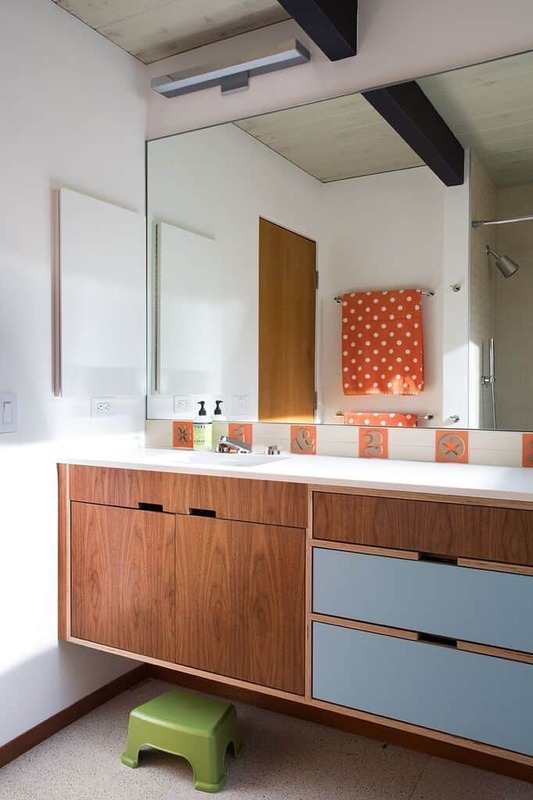 Additional features were added to the home, including a new home office and powder room. 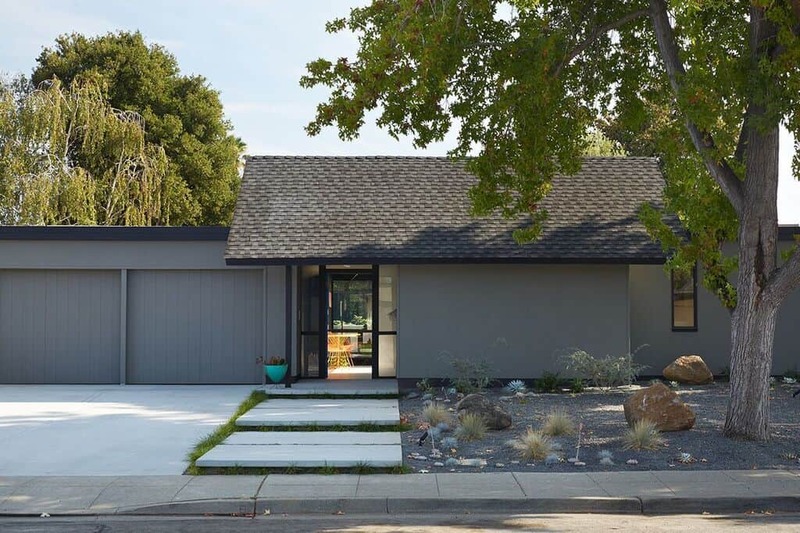 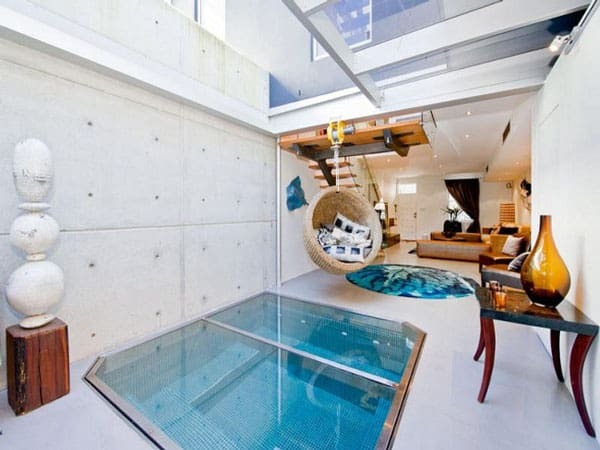 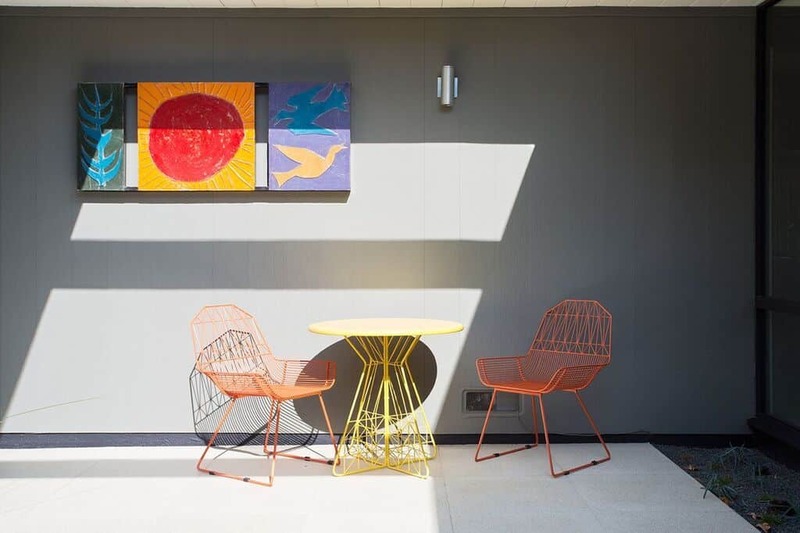 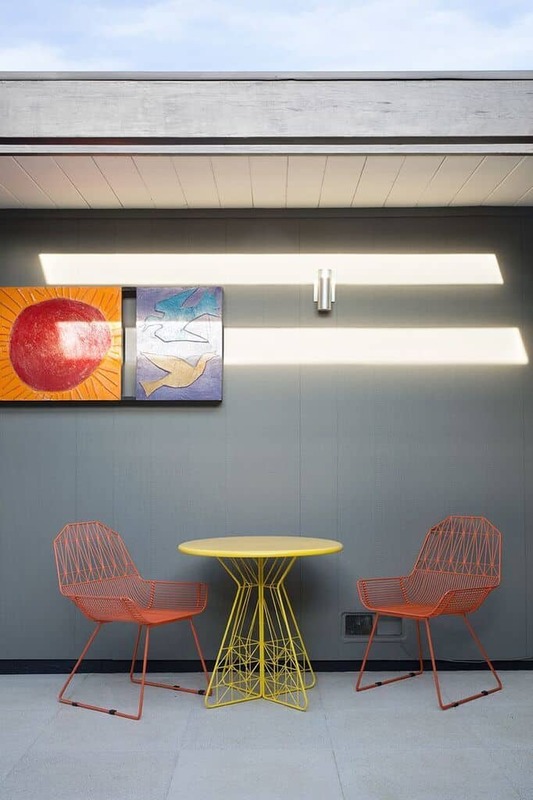 Throughout the home, concrete floor tiles were installed to create a high-quality aesthetic that mimics that of an original “unfinished” looking concrete slab. 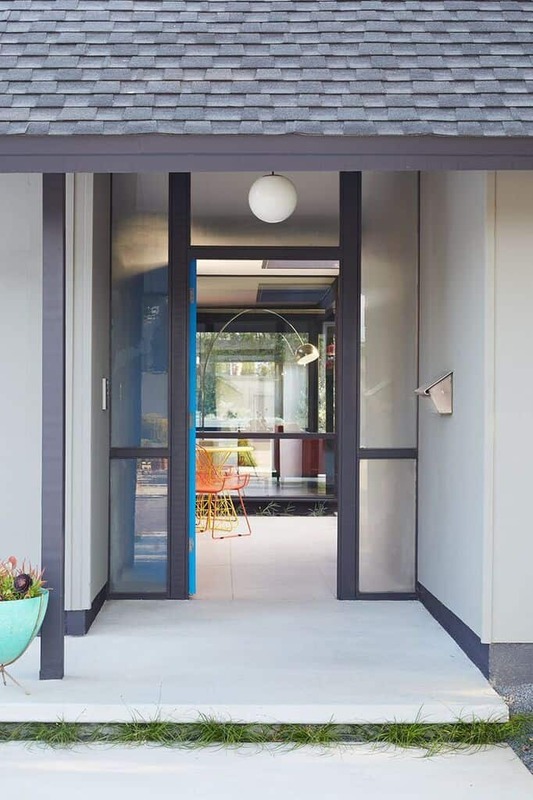 The design team preserved the indoor-outdoor connection with the use of floor-to-ceiling doors and windows, connecting the interior with both the atrium and the yard at the back of the property. 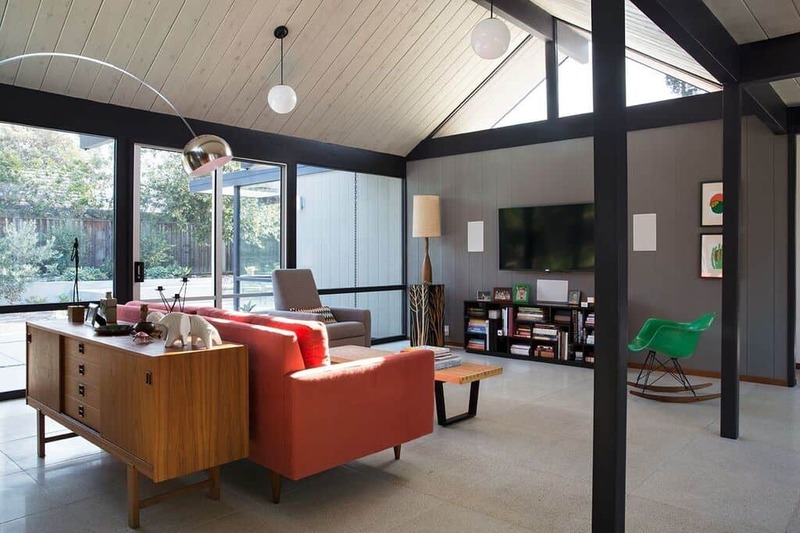 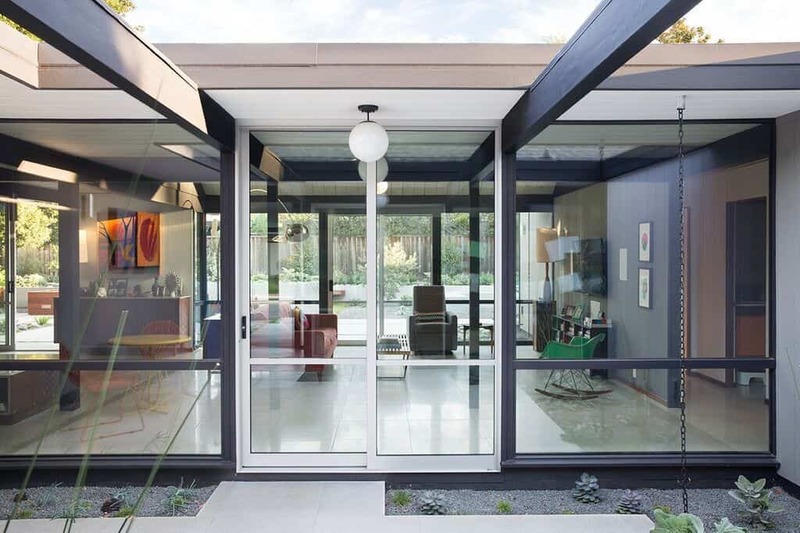 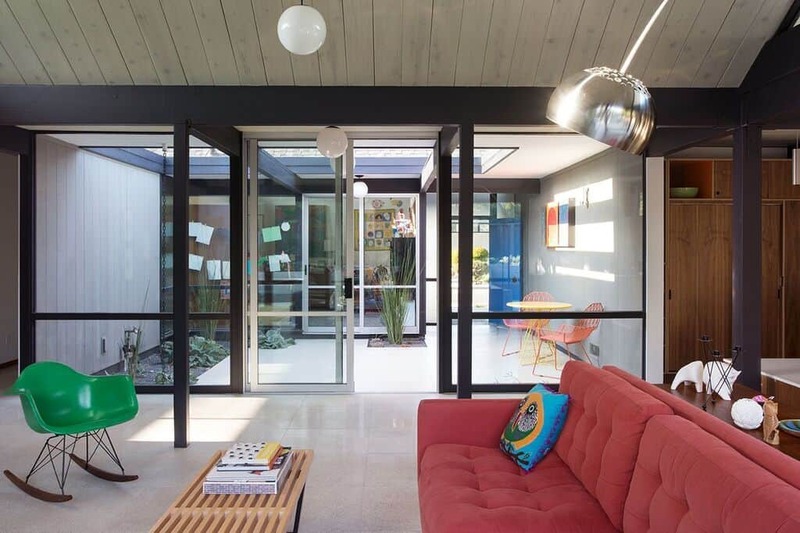 What We Love: The indoor-outdoor connection that is classic Eichler style. 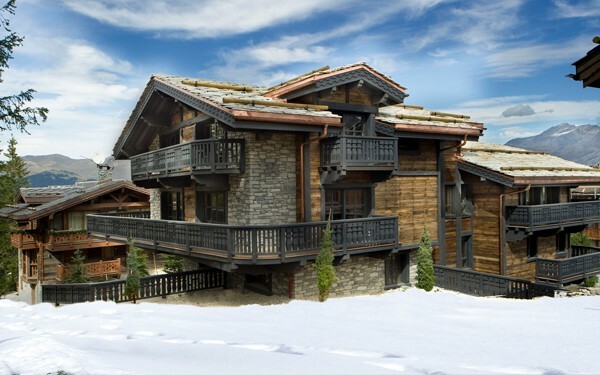 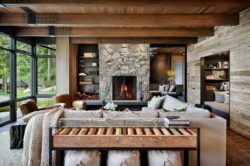 The open, free-flowing spaces, natural light through expansive glazing and the use of natural wood to add warmth. 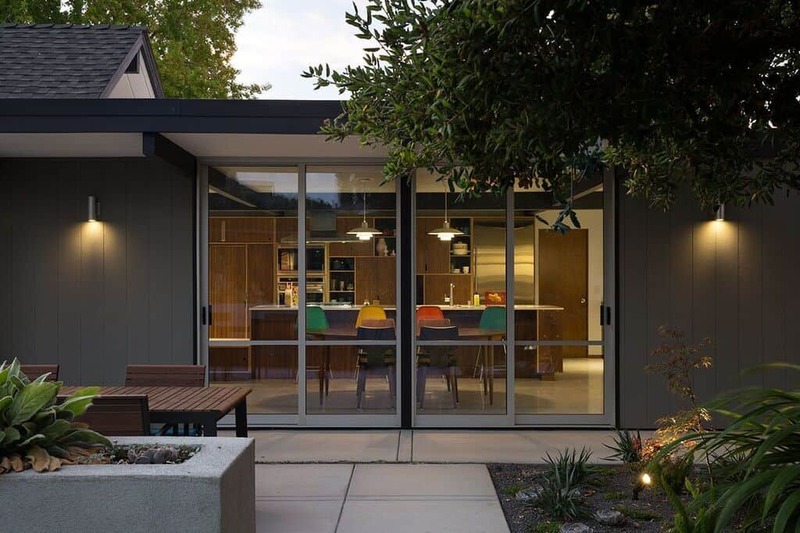 We have featured several Eichler projects from Klopf Architects, there revivals of these classic homes never fail to disappoint. 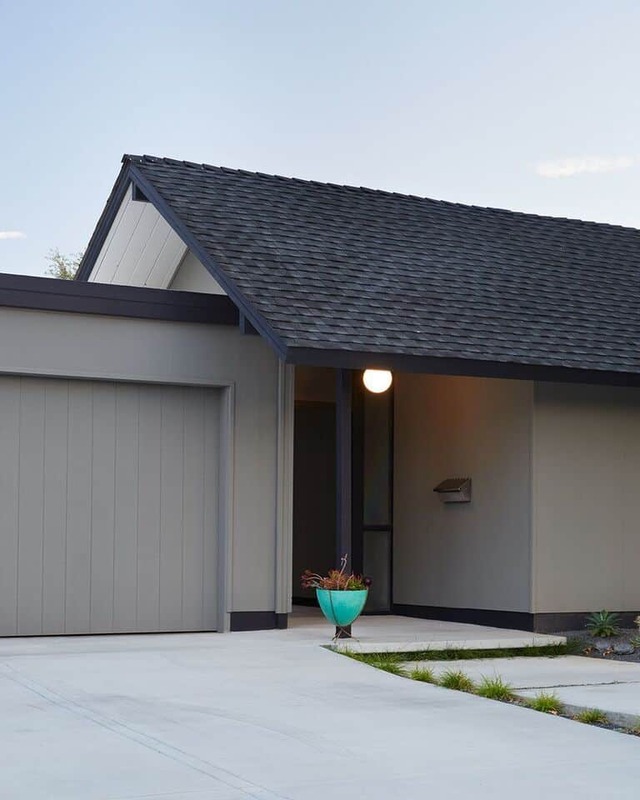 Whats your opinion, are you a fan of Eichler homes? 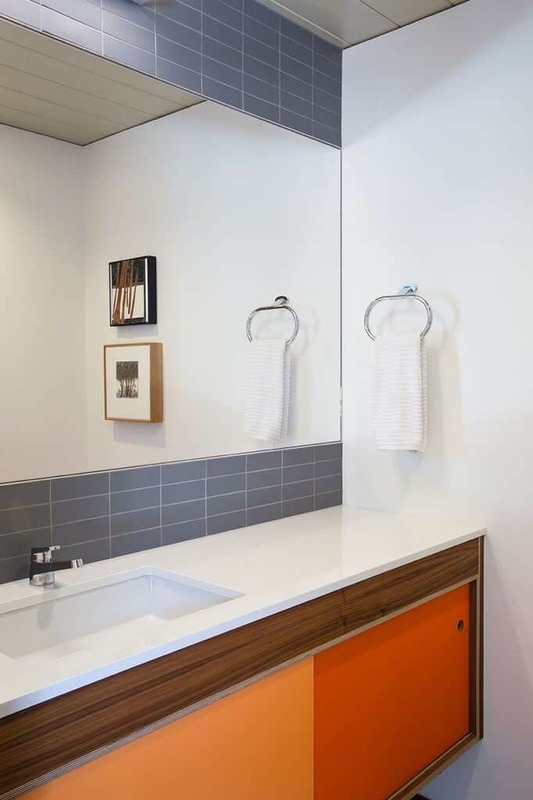 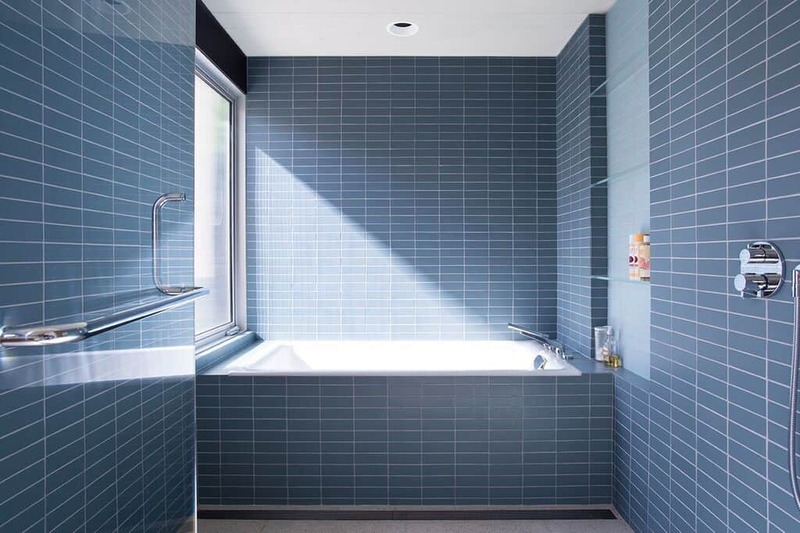 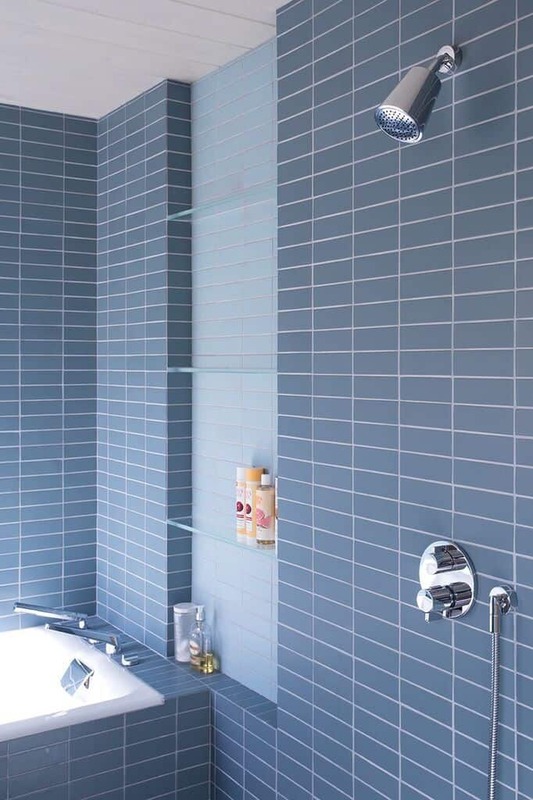 The bathrooms feature colorful tiles sourced from Heath Tile and Fireclay Tile to tastefully infuse brightness into the spaces without feeling dated.